Why is Amazon hiring like a drunken sailor? The most striking thing about Amazon’s (s amzn) fourth-quarter and year-end numbers was that the company’s head count was up a whopping 67 percent to 56,200 employees, compared with 33,700 a year ago, according to Amazon’s new 8-K filing. Sixty-seven percent is a very big number — even for Amazon. 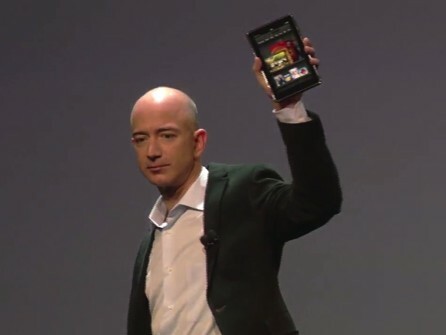 While most of the questions on Amazon’s earnings call on Tuesday night focused on the Kindle Fire business, Justin Post, an analyst with Bank of America Merrill Lynch, tried to get Amazon to drill down into that 67 percent head count growth, which — he pointed out — was “quite a bit higher than units or revenue growth.” But Amazon CFO Thomas Szkutak didn’t bite. “The majority of those increases are in our operations and customer service area . . . it’s in support of the growth,” Szkutak said. Given Amazon Web Services’ push into enterprise computing, smart money is that a good chunk of those workers are supporting AWS users, not selling or otherwise dealing with Kindles or book sales. 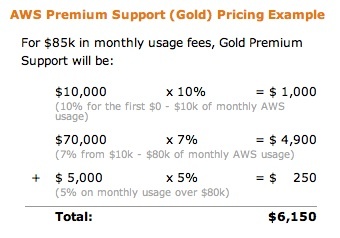 Earlier this week, Amazon announced new premium support options for EC2. The company added Amazon-fielded support for third-party software including Windows (s msft) and Red Hat (s rht) Linux operating systems and Apache and IIS web servers running on Amazon infrastructure. If you have Gold or Platinum Premium Support, you can now ask questions related to a number of popular operating systems including Microsoft Windows, Ubuntu, Red Hat Linux, SuSE Linux, and the Amazon Linux AMI. You can ask us about system software including the Apache and IIS web servers, the Amazon SDKs, Sendmail, Postfix, and FTP. A team of AWS support engineers is ready to help with setup, configuration, and troubleshooting of these important infrastructure components. As most in the enterprise IT world can attest, support engineers do not come cheap. And with a customer base as large as Amazon’s, it will need quite a few. The margins may be higher on sales of such enterprise services, but they also require a greater deal of customer support. And customer expectations for that support are much higher. Enterprise IT companies like EMC(s emc), Oracle (s orcl) and IBM (s ibm) know this. They typically offer a range of support options, including on-site hand-holding if needed. It is unclear to some whether Amazon does. Currently, Amazon Platinum tier service costs either $15,000 per month or 10 percent of total AWS usage for that period, whichever is higher. (The Amazon support pricing is posted here). There is a healthy debate about whether Amazon, which built its empire on the razor-thin margins of bookselling (and some would say Infrastructure-as-a-Service offerings) really wants to enter the world of higher-margin enterprise software and services, which require a higher level of hand-holding and support than Amazon has offered in the past. This news about bulked up support for AWS is a sign that it does intend to go there. perhaps the publicity of sacking thousands when things go pear-shaped is cheaper than advertising. Cloud is hot right now, we’re hiring like crazy in Windows Azure too. http://bit.ly/azure_jobs. Amazon doesn’t seem to be as healthy as everything might perceive them to be. I do though believe that the cloud industry will grow substantially in the following years, especially SaaS. Anyways, great post, keep them coming! I didn’t know drunken sailors hired a lot of staff. Or are metaphors yet another entry into the long list of things that gigaom are clueless about? Oh man, Amazon will chew you up and spit you out. I wouldn’t go back there at gun point. “hiring like a drunken sailor”? Maybe at a brothel. Drunken sailors are known for many characteristics but hiring is not one of them. my initial thought was to go with “spending” but this is all about hiring…mixed metaphor i guess. My bad. Not sure that Amazon is taking a big risk here, by offering expensive support for AWS, so I’m not sure where this “healthy debate” is taking place (references??). Building AWS-based infrastructure can be convoluted; sometimes a wizard with all the answers is just what an enterprise needs. If the complexity of AWS is its biggest weakness (though it’s really not that complicated at all once you understand the beauty of it), this clearly self-sustaining service program (with a price like that, it’s got to be!) can only help bolster revenues for AWS going forward. hi randy. I’ve been talking to quite a few people — AWS users — who really think that all amazon wants to do is sell more thin-margin storage. They don’t buy the enterprise push at all. I know many don’t agree, but there it is.